“I want to get you a Snes game for Christmas”, my wife said to me recently. I was thrilled by the idea and to avoid them duplicating a game I already had I offered my intricate Excel spreadsheet for her to look at. She took a few notes of games, but then asked, “how do I know which games on eBay are real and which are fake?” I sighed. This was not going to be as easy a question to answer. 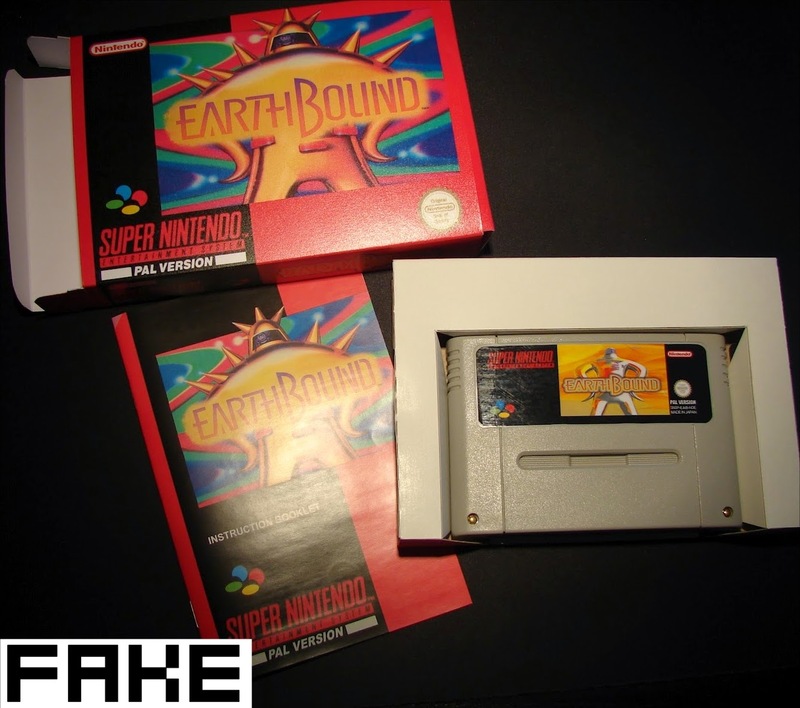 It’s a sad reality that because old games are now worth significant amounts of money, people are willing to create forgeries and pass them off as the real thing. I must stress that I’m not including “ReproductionGames” here. I’m a big supporter of home made versions of games or boxes, especially if they are hard to get or never released outside of Japan. After all, one of my favourite games in my collection is Time Walk’s reproduction of ‘Mega Man and Bass’. What I am not happy with is people passing copied games off as the real thing, deceiving collectors to make a quick profit. With the number of good condition games in car-boot sales or in Charity shops becoming less and less, collectors are having to turn to internet auction sites (yes I mean eBay) to build their collections. Without being able to hold or touch the game before buying, the chances of being duped by a forger becomes greater. I started writing a few tips down to give to my wife to help her avoid less than authentic games on eBay. The more I typed the more I realised that perhaps others could benefit from the advice and as a result the list of things to look for became an article for the ‘Retro Collect’ website. Some of the advice may be obvious for long-term collectors but hopefully there’s something in the article for everyone. I now have high hopes for my Christmas present. If my wife does choose to take a lone out to get me ‘Earthbound’, at least there a better chance it won’t be a shady PAL copy of the American only release. Please let me know if you found the article useful, as the more people know about the ways to avoid fakes hopefully the less people will think they can get away with it.